Just 90 miles south of Cuba lies Jamaica, the third-largest island in the Caribbean Sea. Early explorers there encountered mountainous terrain laced with raging rivers, turbulent waterfalls, wild forests, hidden caves, glorious bays and pristine beaches. Although Jamaica is known for plush amenities and accessible beaches, the average Jamaican lives in a country where several traditional cultures meet. 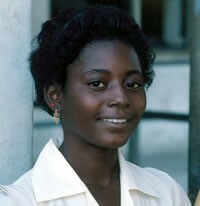 Traditional Jamaican life is marked by many life-stage customs. Weddings are outwardly similar to Western weddings with white bridal dresses and church ceremonies. However, a traditional Jamaican wedding starts the day before with a long feast. Friends play games and eat until dawn when they leave to prepare for the church ceremony. On the Sunday following the wedding, called "Tun T'anks Sunday," the wedding party attends church together and holds an even larger party. Funerals are similarly lavish. Friends and relatives drink coffee, share food and sing hymns with the family for nine nights after the death. This practice both comforts the family and, some believe, protects them from the spirit of the dead one. After the ninth night, they expect the spirit to be at rest. In urban areas, unemployment and crime are increasing problems. But despite their turbulent history — or perhaps because of it — Jamaicans reflect resiliency and relaxation in the face of challenges. The nation's music, sports and tourism industries showcase her as a cultural superpower. 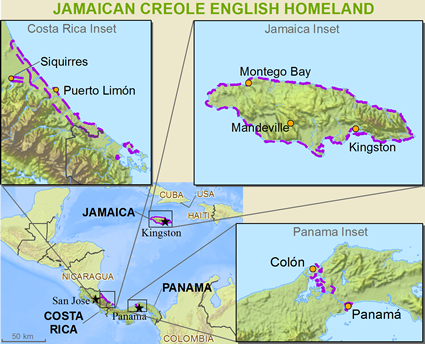 Jamiekan or Jamacan Creole English is also spoken and understood in Costa Rica, Panama and is very similar to the creoles spoken in many other Caribbean nations. Christianity arrived in Jamaica with Columbus in the 1490s, fostering an eventual blending of Arawak, African, British and Spanish traditions. Today, most Jamaicans would consider themselves Christians, more than half affiliating with Protestant denominations.